addresses, Port forwarding and DMZ settings are now a thing of the past! 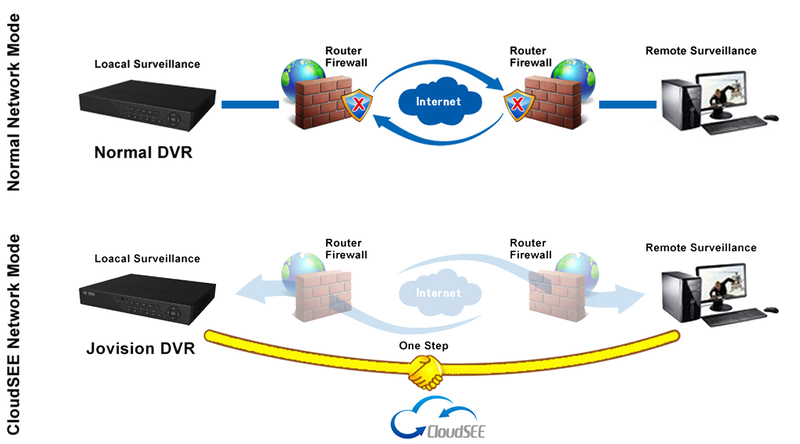 CloudSEE® technology takes less than minutes to setup. Absolute simplicity. will drastically reduce the time and trouble of setting up remote viewing.